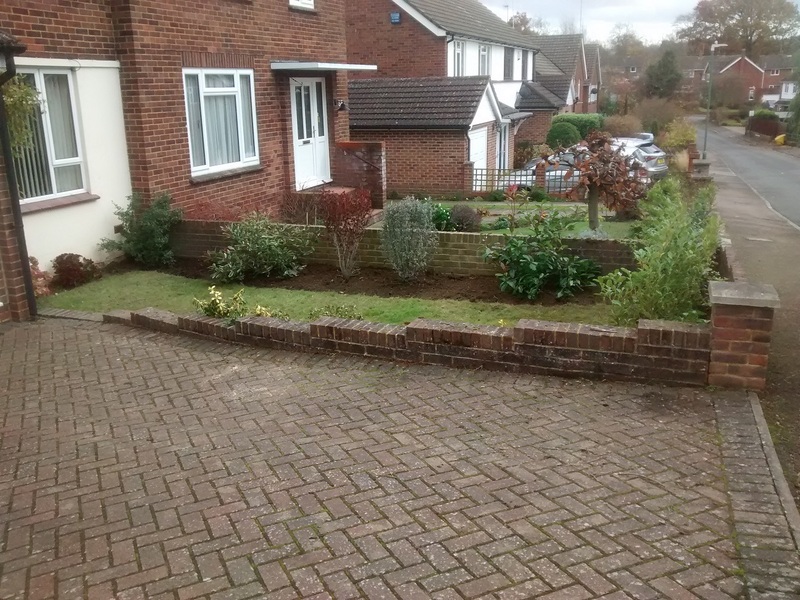 This front garden in Bearsted was in need of replanting. 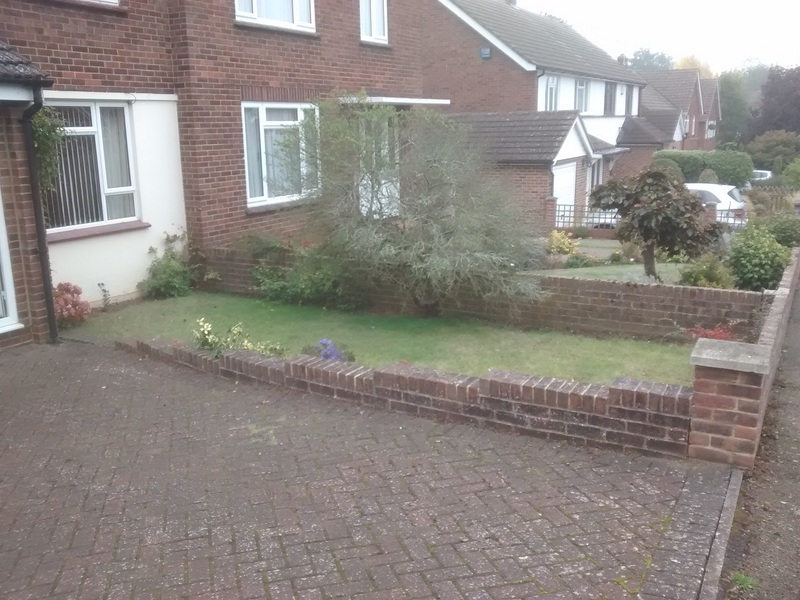 A dead ceonothus needed removing and initially the customer had thought to replace that with a laurel hedge as a privacy screen but without blocking out too much light. We discussed alternative options that would meet these requirements but also give a varied clour palette and fragrance combined with year-round interest. We settled on evergreens as the basis for the planting scheme and listed a number of possible plant varieties that would do the job in terms of height and colour. This allowed me to hand-pick the best specimens from the nursery available at that time to suit the broad specifications. A curved border was dug out from the lawn area and the soil dug over. The plants were positioned with regard to their different rates of growth and final height and in a couple of seasons the garden will be transformed.